On the GO Mimico’s location at Royal York Road and Judson provides ample opportunities for residents to enjoy the outdoors. It can be a lot harder to find the motivation to venture out your front door come wintertime, but this corner of South Etobicoke has a wealth of ways to stay active and engaged. It’s worth getting out from under the covers when you’re close to one of the most scenic parks in the city. Colonel Samuel Smith Park feels like a world unto itself. A large part of the park forms a peninsula stretching out into the water, giving it a secluded feeling. A popular spot among dog walker and birders hoping to spy a rarity (over one hundred bird species nest in the area), the park is home to plenty of natural space and panoramic views of the city. But that’s not all. Right by the Power House Recreation Centre at 65 Colonel Samuel Smith Park Road is Toronto’s first outdoor skating trail! After opening in 2010, the 250 metre trail has attracted ice skaters from across the city. Shaped like a figure eight, the trail offers skaters scenic views of the lake and is an entirely different experience from gliding around an arena. Plus there’s an indoor change room so your boots can stay toasty while you enjoy the trail. The waterfront looks all the more magical when ice and snow transform the lake. Bundle up and enjoy the beauty of the season by taking a stroll along one of the countless trails along the water. If you don’t want to spend your free time out in the cold, there are still plenty of options to get out and enjoy yourself. Lakeshore Arts holds regularly community potlocks where you can connect with your neighbours and discuss local issues. Or why not meet up with friends at one of the community coffee shops? Not only will the condo tower by Stanton Renaissance come equipped with an espresso bar at street level, but there are plenty of area options for warming up with a latte or hot chocolate. Just up the street, Sanremo Bakery has been a local favourite for decades. The bakery is home to authentic Italian goodies plus a popular cafe. If you’re going to meet up with friends for a chat and an Americano, be sure to get one of their fresh donuts or cookies too. On Lake Shore Boulevard, the Birds and Beans Cafe serves up coffee roasted on site. The warm and inviting coffee shop is committed to organic and fair trade beans and offers a range of snacks to go with your java. The shop is also stocked with a variety of beans you can brew at home when it’s too cold to stir from your suite. The transit-friendly condo features 242 units, ranging from 534 to 994-square feet in size. 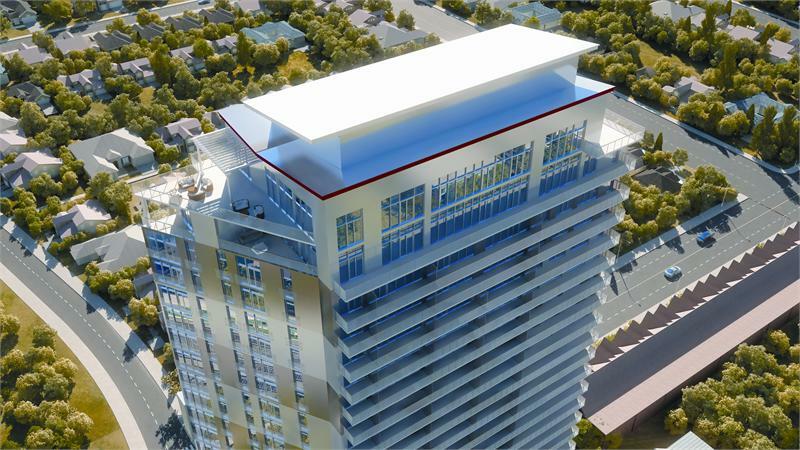 Residences start from the mid $200,000s. For more information please visit onthegomimico.com, call 647 692 8417 or check out stantonrenaissance.com.